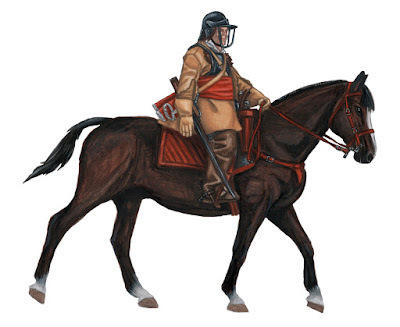 The New Model initially had only one regiment of dragoons, commanded by Colonel John Okey. This was 1,000 strong, with ten equally-sized troops of 100 men. 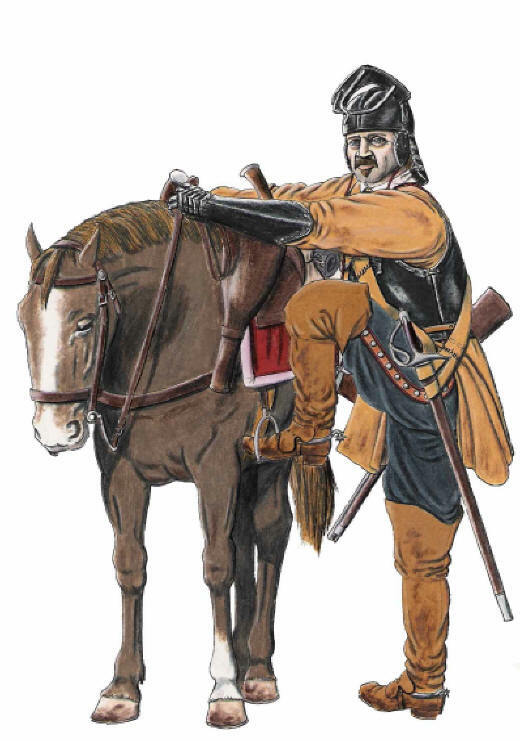 The dragoon was a hybrid soldier, a cross between infantryman and trooper, and the company organization in Okey's regiment reflected this. Each company had a captain, a lieutenant, a cornet and a quartermaster-cavalry ranks; but each company also had two drummers for signalling, as in infantry units. Initially Okey's regiment followed the true dragoon or mounted infantry practice, i.e. they arrived on the field of battle on horseback but dismounted to fight. However, it would appear that they began to function more and more as regular cavalry, and in 1650 they were officially converted into a regiment of horse (receiving thereby substantial pay rises!). The strength and number of companies in a dragoon regiment varied considerably, depending on the task to hand. Morgan's Regiment, for example, raised for service in Scotland in 1651, had in October of that year eight troops-but in January 1653 we find only four troops each of only 60 men. 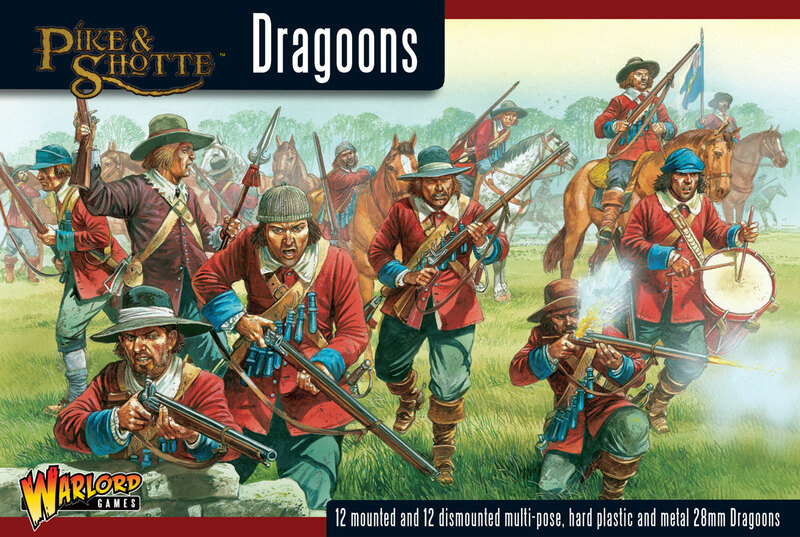 Dragoon units were fairly easily raised, for most counties had companies of militia dragoons. They were particularly useful units for 'police' duties; and it is rare to find all ten companies of Okey's Regiment serving together after the Naseby campaign.